Roland OEM blades are designed to replace your original blade for your Roland® Vinyl Cutter. The 60 degree blades are meant for cutting thick materials such as fashion flock. When your blade wears out, keep these replacement blades nearby so that you don't lose time during job production. These blades are meant for cutting heat transfer and sign vinyl materials. Pair this with our Roland® Blade Holder to keep blades in place and adjust depth for varying vinyls. The 60 degree blades are the best at cutting large letters and shapes great with reflective vinyl and magnet material. There are 5 pcs in 1 pack. • High quality and extra long life OEM blades. • Computer controlled CNC machines ensure precision and cutting accuracy. • The sharp blades are necessary ensuring the unbroken materials due to extremely quick carving speed. Used for:Compatible with the following cutters: Our CPM-LD, CPM-FS-C, CPM-CUTOK, CPM-RS Series vinyl cutters, Liyu, Redsail, Lidar, Jiachen and many more cutters on market. It can be used with Roland GX24, GX300, GX400, GX500, GX640, SP-540, SP-540I, SP-540V, SP-300, SP-300I, SP-300V, VP-300, VP-300I, VP-300V, VP-540, VP-540V, VP-540I vinyl cutters. • Excellent for cutting vinyl, photo - stencil films & other thin films, etc. • Superior cutting of the most intricate designs. 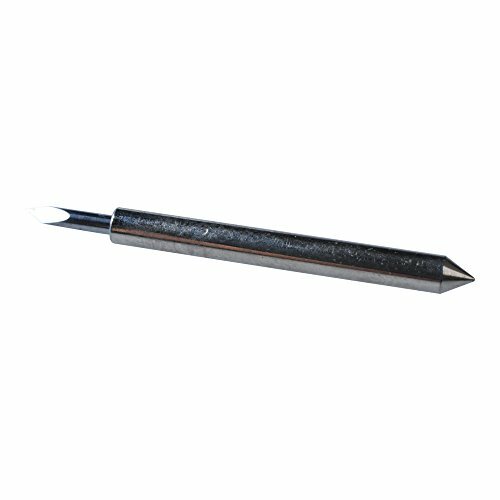 Made from cemented carbide, carbide is a very hard wearing metal which will last a long time for all your cutting needs. Made by computer controlled CNC machines. The speed of carving is extremely quick. Blades are 60 degree for cutting thick vinyl materials. Use as replacement blades when original wears out.